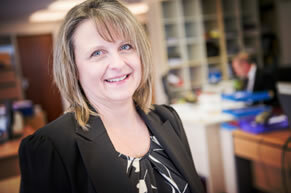 Tracey, a Burton girl through and through, is responsible for the bookkeeping, payroll, CIS tax, VAT returns and accounts preparation for the ever-growing Alexander Accountancy client-base. She liaises with clients both over the phone and in person and really enjoys that aspect of her job. However there’s a great deal more to Tracey than that. With a fantastic level of experience in management, administration and all aspects of bookkeeping and credit control that stretches back over 25 years, Tracey is a vital part of what Alexander Accountancy does and she’s now working her way through the Institute of Certified Bookkeepers qualifications. Outside of work, Tracey’s focus is very much on her family; her husband Richard and daughters Amy and Beth are at the heart of all she does, and she loves getting together with her friends whenever possible too.